Cafe Britt Narino Volcanic is a blend of the finest Colombian coffees from the breathtaking mountains of Narino on the southwest coast. The slopes of the Galeras Volcano produce these valued beans, well known as the pride of Colombia. Their bright acidity and excellent body will fill your cup with outstanding flavor. The dedication, discipline, and fine artisanship of Nariño coffee growers is evident in each sip of this medium-bodied, aromatic, and flavorful coffee. Meticulous attention and care is paid to the entire process, from hand picking the ripest beans to drying them in the tropical sun. Located in southeast Colombia on the border of Ecuador, the diverse geography and varied climate of Nariño contribute to the growing conditions of this mild, highly acidic coffee. Planted at extreme altitudes and wet-milled on coffee farms, the Arabica beans absorb nutrients from the fertile soil produced by ash from surrounding volcanoes. 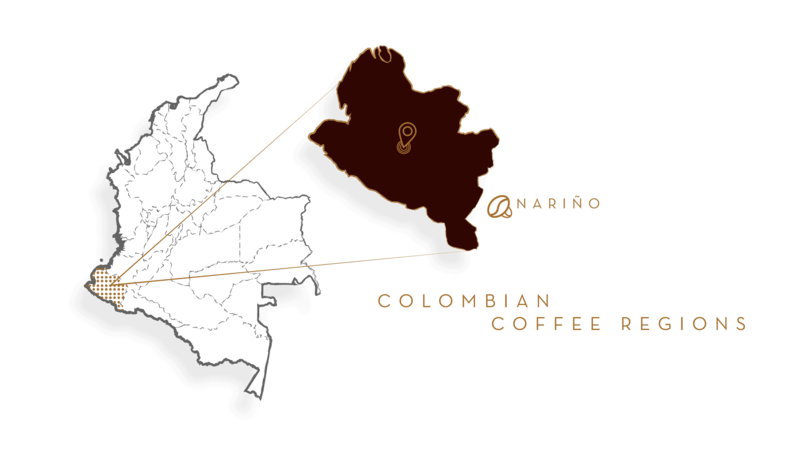 The southernmost coffee- growing region of Colombia, Nariño enjoys 1666 hours of sunlight per year and 74 inches of rain, making it possible to cultivate this gourmet coffee at altitudes up to 7545 feet and relatively low, coffee-growing temperatures. Our Nariño blend has a pronounced aroma and distinct sweet notes resulting in a mildly intense cup.